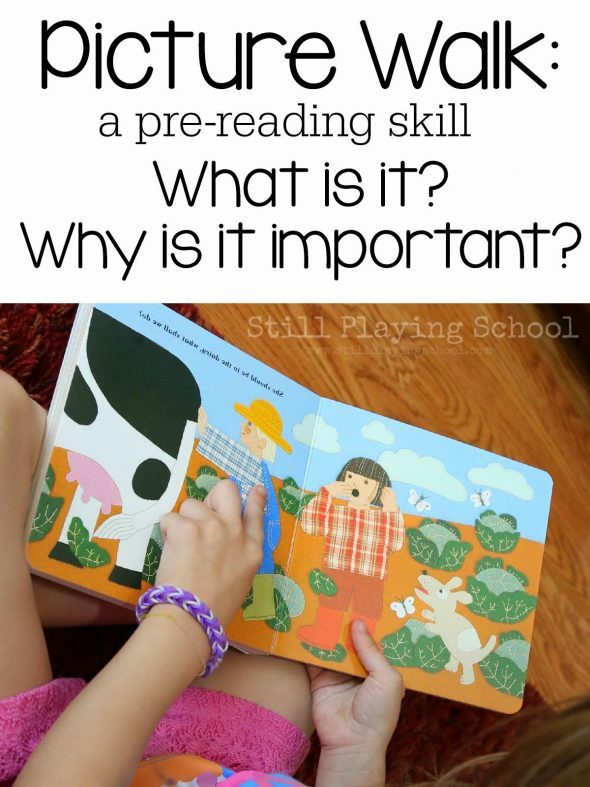 Reading and speaking to our children, from a very young age, will help develop future readers! Here is a list of five ways to promote your child’s language development. They are easy, quick, and fun for both parent and child. Over the past few weeks I’ve welcomed many talented guest writers as we adjust to life with our new baby boy. Today we have the privilege of hearing from the lovely and talented Amy of Wildflower Ramblings. Amy is another former teacher, M.Ed., turned stay-at-home-mom and blogger. Follow her site for many play-based learning ideas! Learning language doesn’t begin once your child is in “school” — it starts at his or her first breath! 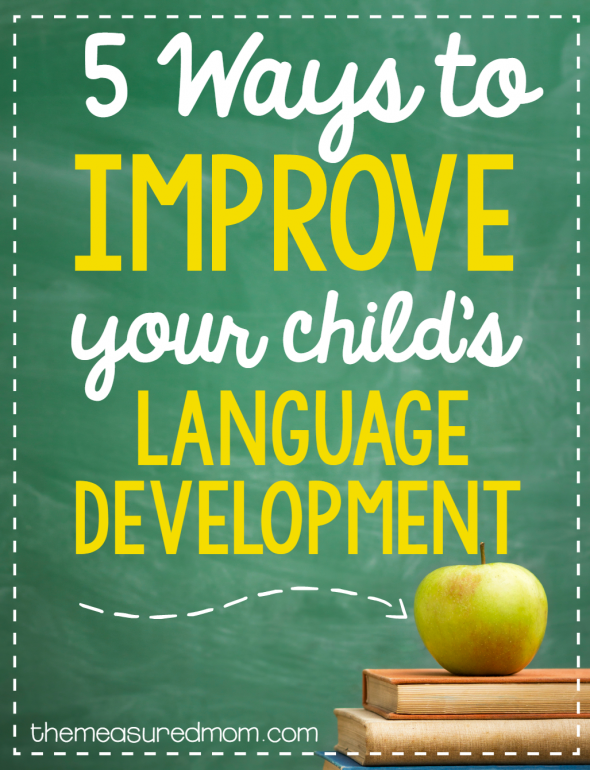 Here are five quick tips to improve your child’s languge development. Did you know that the most important way we help our children develop language is by reading to them, even as newborns? Infants who are read to associate reading with comfort, while learning valuable language skills at the same time! The first book I read to my son was The Runaway Bunny — and from that day on, I vowed that I would read to him each day. When you read to your children, you help build their vocabulary, teach them about the world around them, and so much more. 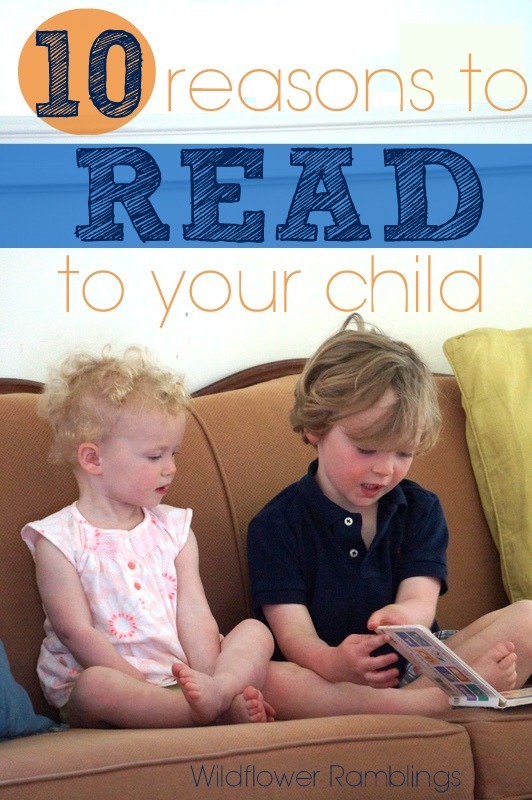 Read this post to learn ten reasons to read to your child. Before reading, take a few minutes to do a picture walk. Encourage your child to make predictions as you read. 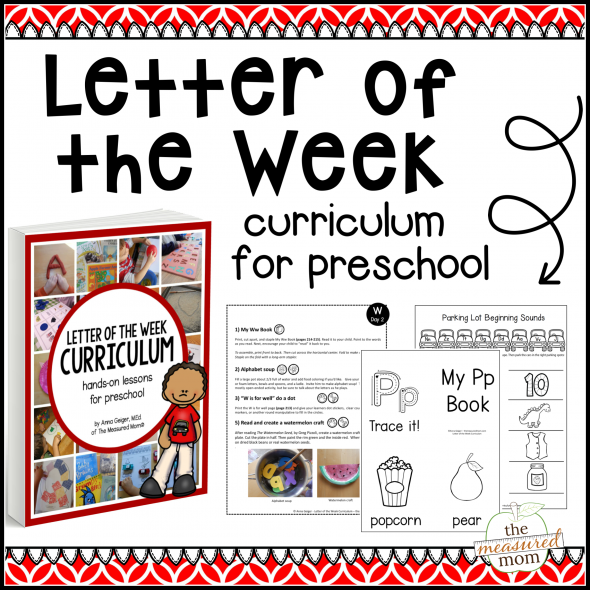 These simple activities focus attention, get kids excited about literature, and promote comprehension – all while promoting language development! Phonological and phonemic awareness sound like big teacher-y words, but don’t let those big words fool you! They refer to the understanding of sounds within language – and teaching them is actually quite simple and fun! 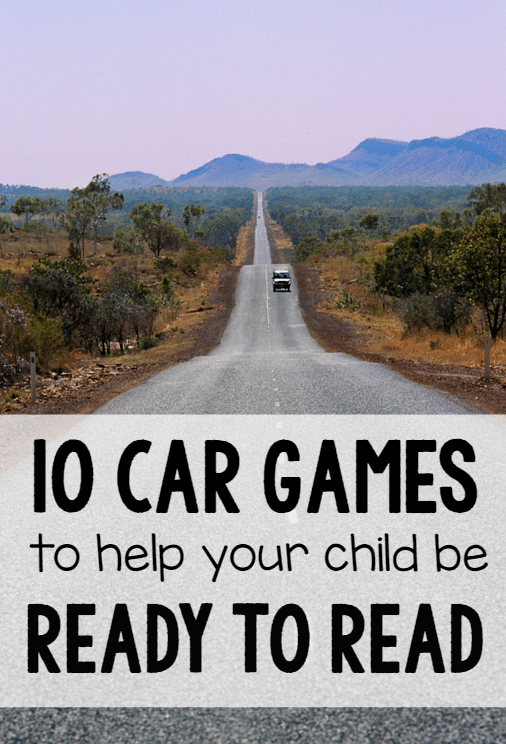 Read this post to learn more about phonological awareness, and try these easy car games to help your child develop it! Rhyming is one aspect of phonological awareness, and it’s so important it gets its own bullet point. 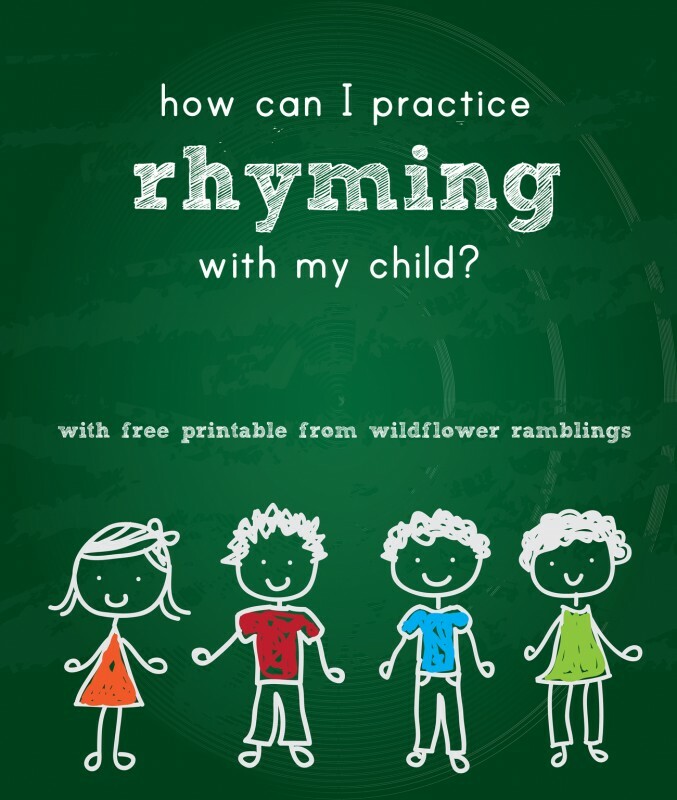 You can easily teach rhyming while cooking dinner or sitting in the waiting room! Find many fun rhyming activities – including free rhyming prompt cards! – here. One of the best ways to develop rhyming is to read rhyming books together. After your child is familiar with the story, leave out the rhyming words for him or her to fill in. 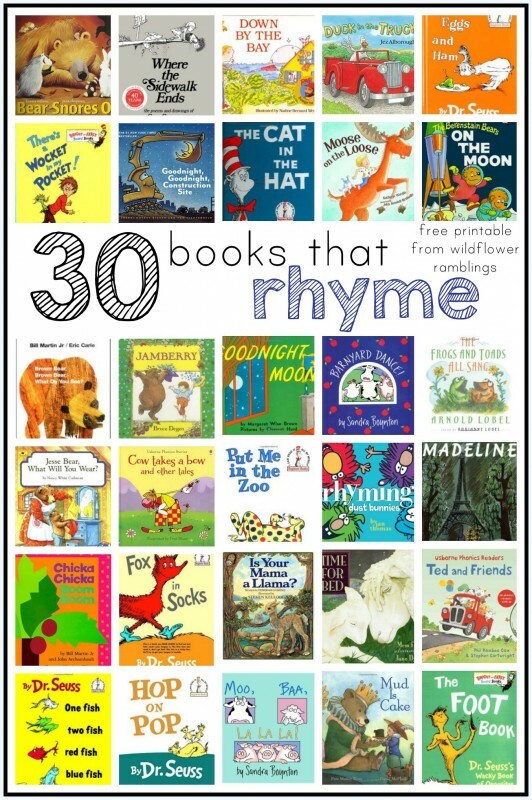 Here is a long list of high-quality, recommended books that rhyme with a free printable list to take to the library! We are given such an amazing opportunity to help our children develop their language skills. Provide quality books, talk about literature as you enjoy it together, play rhyming games, and most importantly, have fun! Developing a lifelong love of learning and reading will benefit your child for a lifetime to come! Yes! Reading aloud is so simple that often forget how valuable it is. Reading aloud to kids is actually the single most important thing we can do to help them become readers! Your website is amazing!! Thanks for all the wonderful resources that you share!! I use them as often as I can 🙂 Your awesome!! This site is wow! Thank you so much for the wonderful resource.